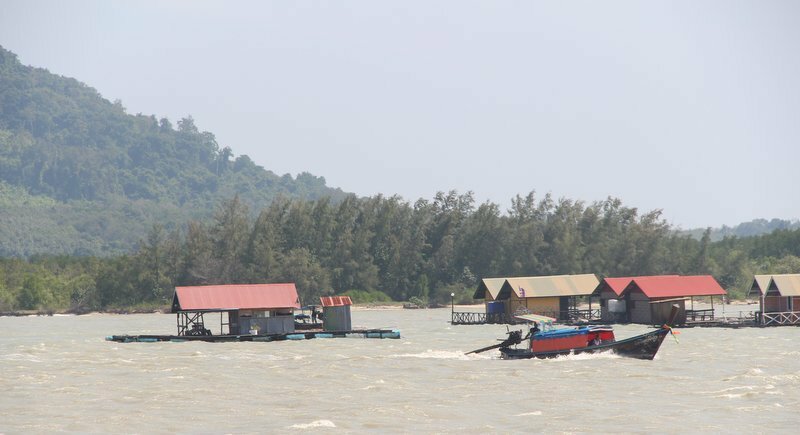 PHUKET: The Department of Marine and Coastal Resources (DMCR) voiced their concern to The Phuket News this week (Dec 28) about the likely negative environmental effects that would result if a proposed bridge from Phuket to Koh Maphrao (Coconut Island) went ahead. Watcharin Thintalang, Director of the DMCR’s Phuket office said, “If this project negatively effects the environment and leads to causing harm to the mangroves, than I am very concerned, and I will take serious steps to make sure the law is strictly followed. “We will arrange to meet with the officials involved in this project. Then, we will bring to their attention the environmental laws involved, especially if the bridge will affect mangroves in the area,” he added. Mr Watcharin cited the example of the Klong Koh Phee project, a B176.3 million bridge project at Klong Koh Phee canal in Wichit, which began in 2013, to connects Sakdidet Rd in Wichit to Rattanakosin 200 Pi Rd Phuket Town (See story here). “But, the public’s voice is the most important, if the public disagrees there will be no movement with this project,” Watcharin added. Chris Gordon Managing Director of The Village Coconut Island resort on Koh Maphrao, said the bridge is unnecessary. “We ultimately believe a good car ferry would be far cheaper. It could be achieved in 3 to 6 months and most importantly protect the lifestyle of the whole island for the local community, whilst allowing slow, well-planned development. "The main problem with a bridge is that the quiet and calm will be ruined and Koh Maprhao will then just be an extension of Phuket. Very little of Phuket remains truly untouched and undeveloped. Koh Maphrao is a gem and can be preserved and gently developed without the need for a bridge. “We have made proposals to operate and run this ferry service for many years to no avail. Koh Lanta which is hundreds of times larger is still using car ferries. This as we know will soon end and probably the charm of Koh Lanta will be over. Koh Maphrao is minute and does not need a bridge. “A car ferry can have cheap or free travel for local community residents whilst all other users would pay. This would stop hordes of day trippers spoiling the harmony of the island unless they paid for the ferry,” he added. Silly thinking that a ferry fee would block day trippers to visit the island. Everywhere in Thailand and Malaysia are ferry connections with islands. And again that discriminating insular thinking Foreigner/thai about fees. When Thai officials open their eyes and go to start thinking they are part of a world/global community, and that nothing is special exclusive in Thailand? What he meant to say was that the ferry would prevent day trippers from arriving and spoiling the tranquility of his high end customers. That's the harmony he cares about. What a snob.